Configure your price in no time, with our quote builder! 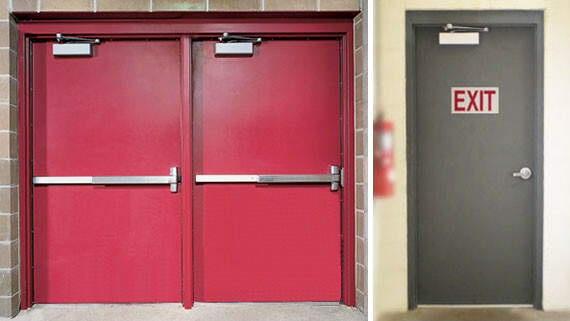 Low Prices on Commercial Steel Doors, Wood Doors, Fire-Rated Doors, Hollow Metal Doors & Frames! 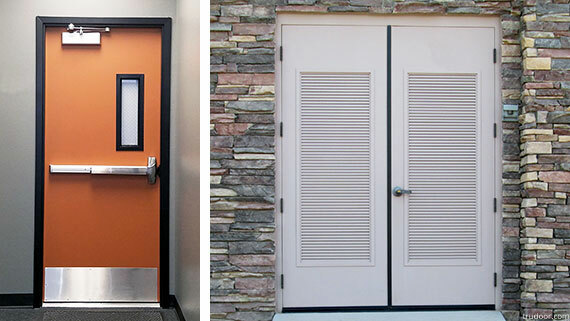 Heavy duty 18-gauge steel doors for interior and exterior use, including custom sizes and doors with glass or louvers. Solid core wood doors in various grain and color options, including prefinished birch, oak, maple, cherry and MDF Primed White. 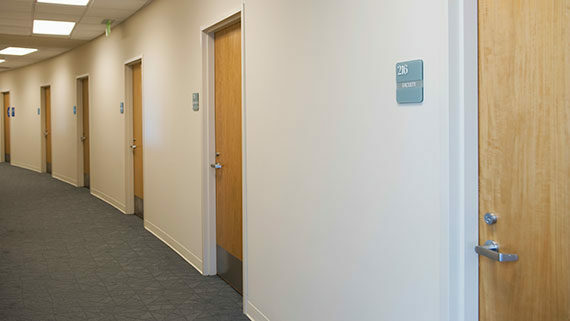 Metal fire doors with 20, 45, 60, 90 minute and 3 hour labels. UL labeled clear ceramic glass and wire glass available. 16-gauge steel hollow metal frames for interior and exterior use, including custom sizes and borrowed lite window frames. A complete line of value and premium brand commercial grade hardware, including lever locks, closers, panic bars and exit hardware. Steel vision lite frame kits (door window inserts) available in various sizes with clear tempered, insulated and fire-rated glass options. Trudoor is a leading national online distributor and supplier of Division 8 construction material. 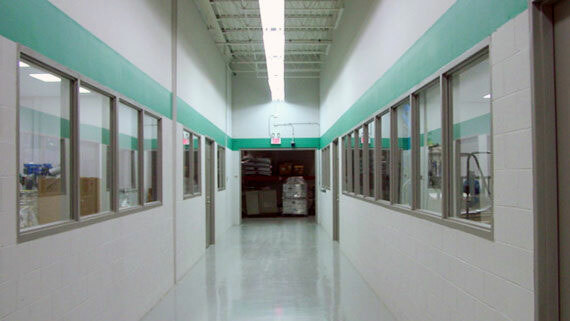 We provide contractors, building owners, the handyman and general public with high-quality commercial doors, frames and hardware at wholesale prices. Our easy to use, online quote building tool eliminates confusion and allows you to get quotes quick and easy. If you have any questions, call 1-844-TRUDOOR (844-878-3667). 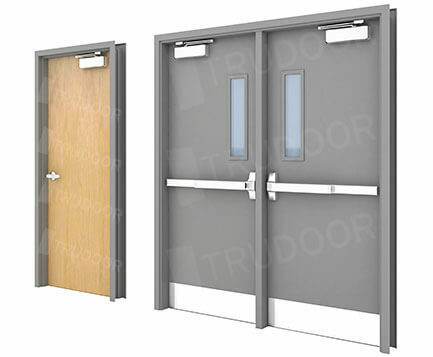 Our commercial door experts are standing by, ready to help. No Minimum Orders. Nationwide Delivery: Whether you need a single door or material for an entire project, we offer affordable shipping to anywhere in the USA. 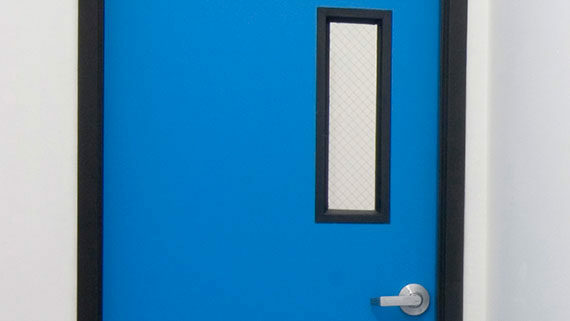 Quality: We only provide quality commercial grade hardware and doors, including those from manufacturers that meet the strict guidelines of the Steel Door Institute (SDI). Unmatched Service: Get unmatched service that only a Family Owned Company can provide. Trust: We are Better Business Bureau accredited (A+ Rating) and a Distributor Corporate Member of the Door and Hardware Institute. Experience: Our friendly sales staff is knowledgeable in building, fire and life safety codes and have first hand knowledge of how doors are fabricated and installed. Many of our salespeople have years of field experience and take pride in being able to better understand your unique job-site issues and needs. We help you select the correct material to get your job done right, on-time and on-budget! Also, we offer many resources and guides, such as measuring worksheets and charts, door and frame installation instructions, a hardware finish chart and more, to help you get your job done right. Frame, door and hardware brands also include: Timley Prefinished Steel Frames • Graham • Masonite Architectural • Hollow Metal Xpress • DCI (Door Components) • Doormerica • Schlage • Falcon • Von Durpin • LCN • Ives • Air Louvers • National Guard Products (NGP) • Hager • Yale • Pemko • Norton and more. Use our interactive Quote Builder to configure your request. We’ll email you a quote, shortly after we receive your request. Submit payment through our secure payment gateway. Material is crated and safely delivered, directly to your job site.